Annerley is a suburb of Brisbane which is packed with op shops which is what the Aussies call second hand or charity shops. If you’re into vintage fashion or antiques, you could wile away a few hours browsing and picking up some bargains in Annerley. My boyfriend owns a record shop at home, so we spent a while rummaging for good records and we bought a few to bring home. Obviously when you’re shopping, just be aware of your luggage allowance! Because we flew home with Etihad, we had a massive 32kg and we only used about half of that on our way over to Australia. Retro gaming is HUGE right now and, even though I’m not particularly into computer games, Netherworld was pretty fun and perfect for something to do in Brisbane when it’s raining. They had both arcade games and consoles so you can visit by yourself or play with your friends. It’s also a bar (which was obviously a massive pull for me!) with reasonably priced drinks and a vegetarian cafe. What else to do in Brisbane when it’s raining other than a day sesh?! 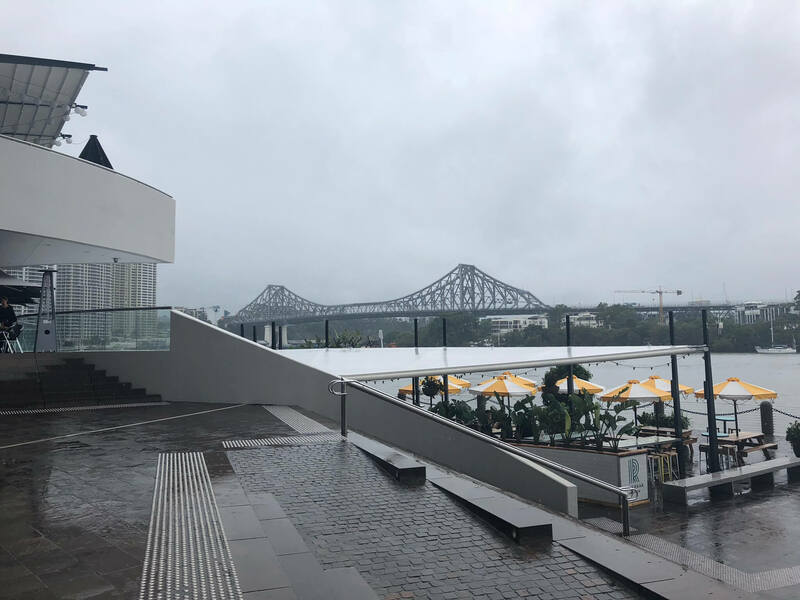 We started off at the Bavarian Bier Cafe on Eagle Street Pier which overlooks the river and must have an absolutely fantastic view when the weather’s good. They also do huge litre steins which is great if you’re a beer fan. Drinks are quite expensive in Brisbane (and in all the cities in Australia really), so bring plenty of spends. We’re British and we’re used to the rain so there was no way we were going to let that stop us doing cool things! 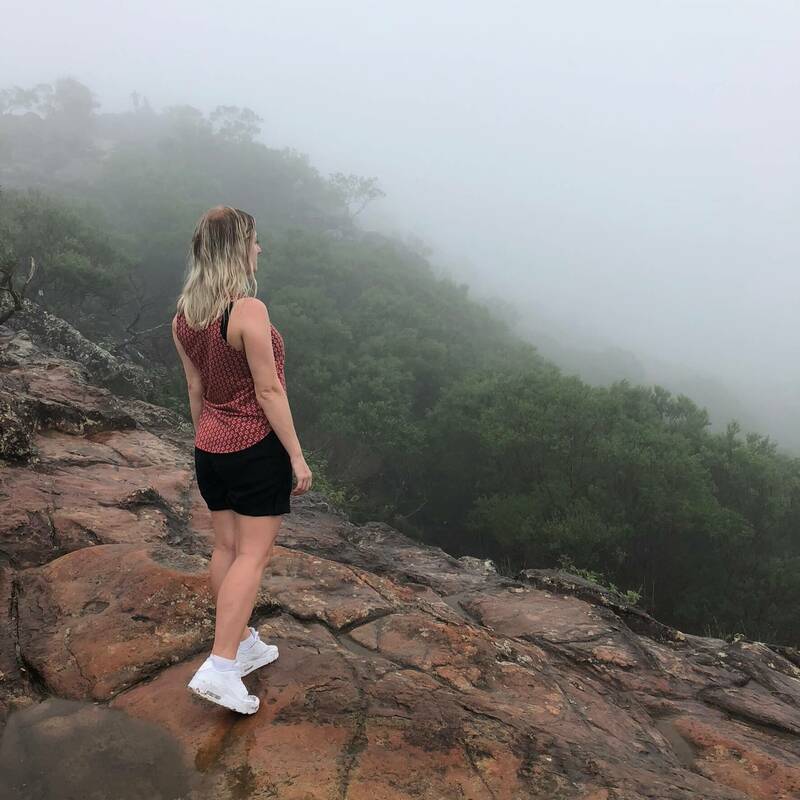 While we were in Brisbane we were staying with one of my boyfriend’s friends and him and his girlfriend took us on a rainy day hike to the Glass House Mountains National Park. We were feeling slightly delicate and hungover from the day before so this really cleared the cobwebs as it was quite hard going at time. Apparently from the top of this peak, there is an amazing view…but it was too cloudy to see anything! 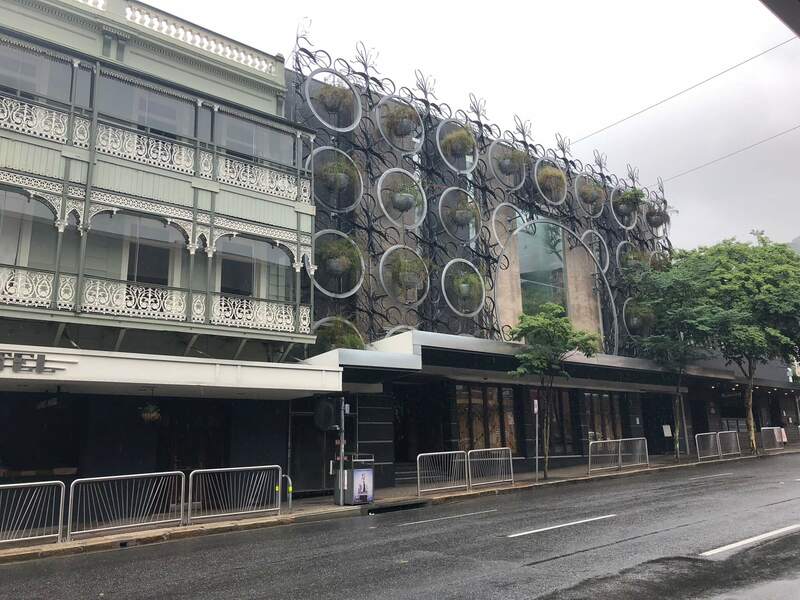 Have you got any top tips for things to do in Brisbane when it’s raining? Let me know in the comments!